The Ladurée Beauty collection is inspired by eternal elegance and sophistication. 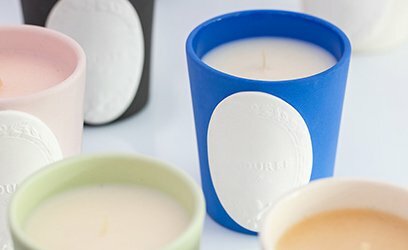 It graciously fulfils our desire for beauty and furnishes a host of subconscious yearnings by affortlessly blending a love of the good life with a welcome feeling of well-being. This line has a nostalgic ring to it, the scent of childhood which delights and thrills our senses. Think of it as a voyage encompassing pleasure and comfort, resplendent with tender, star-spangled tales of bygone times. 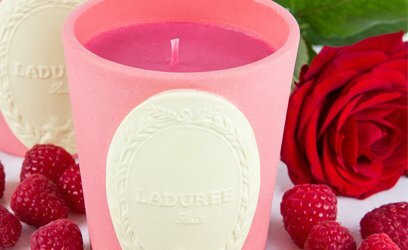 With its candle scents, Ladurée offers you its distinctive signature, weaving a thread of emotion and delicacy,between each of its perfumes. 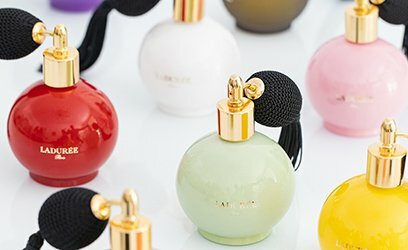 As a creator of magic moments, Ladurée has imagined a collection of fragrances for your home, an olfactory offering full of tenderness and opulence. Ladurée’s fragrances leave the trace of unforgettable memories in their wake. 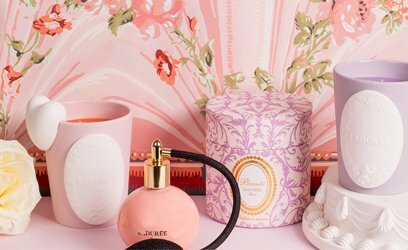 Ladurée has created a new form of fragrance to safely perfume your home and wardrobe... An intensely perfumed ball of wax, suspended by a beautiful grosgrain ribbon in traditional Ladurée hues, releases intense and delicate perfumed notes. 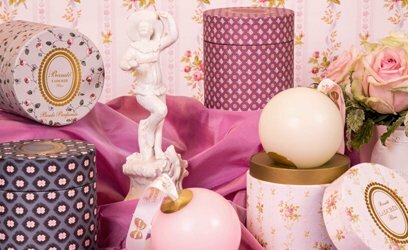 Our perfumed balls are presented in beautiful gift boxes, whose aesthetic sits in harmony with each fragrance. 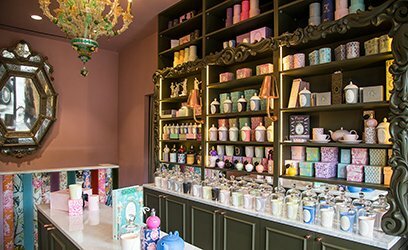 Ladurée incenses have been made by koh-Shi masters following ancient methods and handcrafted. each scent leads you to a perfumed journey, which will purify your spirit and you heart.